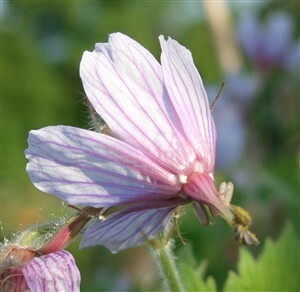 Geranium aristatum A very regal looking plant with snooty reflexed petals of pale blue / pink marked by regency striped veins of dark pink. Very well behaved, reliable and easy in sun or partial shade. Best not crowded.